The Sony Xperia XA2 shows off a clean, cool design. The appearance is somewhat similar to what we saw with previous offerings in the series, but less chunky. The rear of the Sony Xperia XA2 features plastic with metallic touch and it uses metal frames to enhance durability. On the front, you get a 5.2-inch IPS LCD display with a resolution of 1,080 x 1,920 pixels. A picture density of 424 ppi holds promise of sharp images and great colours. There is an unspecified version of Corning Gorilla Glass on top. Sony Xperia XA2 has on its rear a robust 23MP camera with Exmor RS sensor. This shooter should provide impressive shots with features such as f/2.0 aperture, phase detection autofocus, and face or smile detection. You can record stunning 4K videos with the Sony Xperia XA2 at 30 fps. It records stereo sound with the videos as well. For selfies, there is an 8MP front facing shooter. Performance wise, the Sony Xperia XA2 should not be a slacker. It comes with a Qualcomm Snapdragon 630 chipset paired with an Adreno 510 GPU. RAM of 3GB is a good sign for responsive performance and enjoyable multitasking. As for internal storage, you get 32 GB. The phone can also take a microSD card with capacity of up to 256 GB. Sony Xperia XA2 boots latest Android 8.0 Oreo operating system. Sony adds a fingerprint scanner on the rear, below the primary camera. The Sony Xperia XA2 promises superb mobile download speeds with support for LTE. Connectivity options also include Bluetooth 5.0, USB Type-C, NFC and Wi-Fi with Wi-Fi Direct support. Juice comes from a respectable 3,300mAh battery with Quick Charge 3.0 support. The smartphone will be available in single- and double-SIM variants. 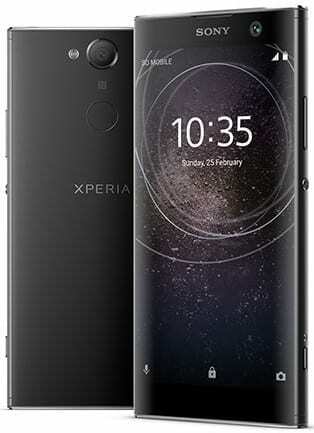 Sony Xperia XA2 is not yet available in Nigeria, but the smartphone is now available for pre-order on BestBuy.com for $350. It is expected that the Sony Xperia XA2 will begin its global launch on February 16, 2018. We currently have no data on pricing and availability for Nigeria, Ghana, and Kenya. When available, Sony Xperia XA2 Price in Nigeria is expected to range from 125,000 Naira to 150,000 Naira depending on your location in the country.